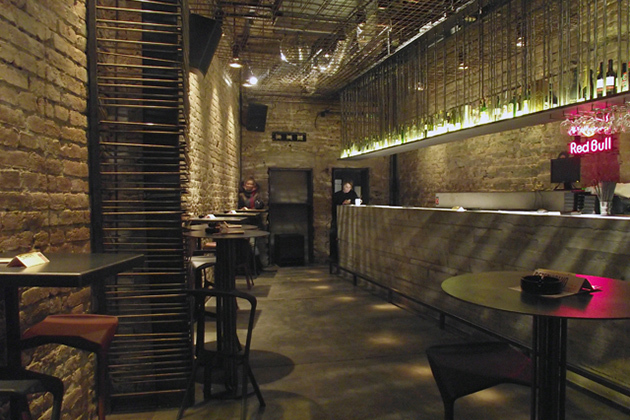 Club Mladost (Disco Bar Mladost) is located at Karađorđeva Street 44, at the popular part of the city - Savamala. This venue is designed as a club, working hours from 10pm to 4am, but during the day it works as a coffee bar. Belgrade has got a new place for gathering and a club that has quickly become a favorite gathering place for an urban crowd with good music and drinks. Music isn’t loud like in regular clubs, so in Mladost you can enjoy the perfect combination of both dancing and talking with your friends at the same time. The venue consists of two parts, functionally and thematically separated. At the first level, a long bar is dominant. There are bar tables and colorful chairs of futuristic design, and an interesting detail is the armature on the ceiling. Lower level, underground, looks a bit like the cave. There is the dj-boot separated in two section for two to play two different music at the same time. Music accent is mostly on a disco, funky, jazz and house music.